MPR News reporters are monitoring rivers across the state. Here's what we're seeing on Monday. 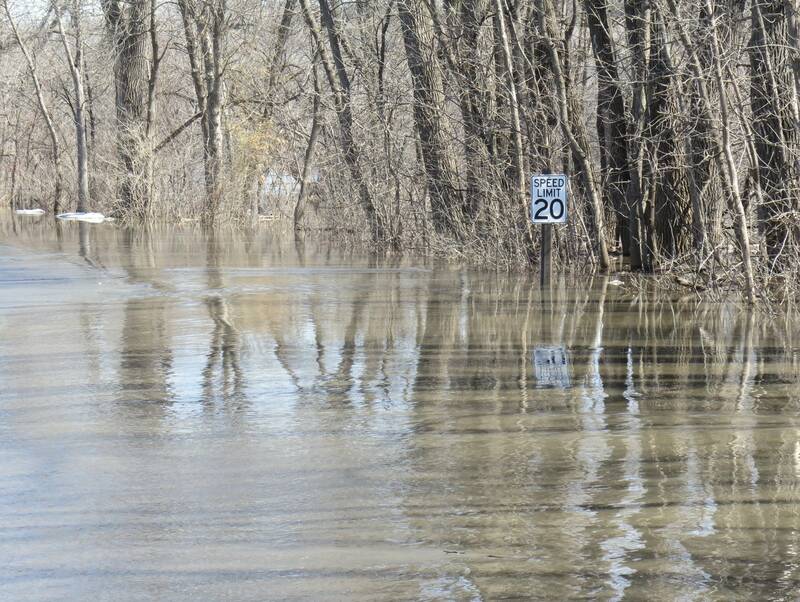 The southwest Minnesota towns of Marshall, Montevideo and Cottonwood joined St. Paul and Moorhead in declaring states of emergency ahead of anticipated spring flooding this month. And while all eyes across the southern part of the state remain fixed on the river gauges, central Minnesota's rivers have begun to experience the unpredictable ice jams that plagued their southern counterparts last week. The town of Delano in Wright County averted a possible disaster over the weekend when crews broke up an ice jam on the Crow River. Elsewhere around the state, St. Paul has closed several streets in anticipation of flooding from the Mississippi River, including a long section of Shepard and Warner roads, as well as ancillary streets that connect to those roads. In the St. Croix Valley, sandbagging efforts are continuing in towns like Stillwater, Hudson and Bayport, where the St. Croix is expected to hit moderate flood stage later this week. The Mississippi River at Hastings is expected to hit major flood stage midweek. Volunteers have been sandbagging around homes in flood prone areas in the eastern part of the city. Minnesota Gov. Tim Walz visited Moorhead on Monday to hear about spring flood preparations. Local officials briefed the governor on what they're doing to get ready for flooding, and on permanent levees and floodwalls built in Moorhead to make it easier to fight floods. The state and city have spent $110 million on those flood mitigation projects. Walz said he's impressed by the improvements. "We get better each time at this and I think unfortunately we get better because it's happened so much," Walz said, "but fortunately as I think it's reflective of how we do things in the Upper Midwest, collaboration." 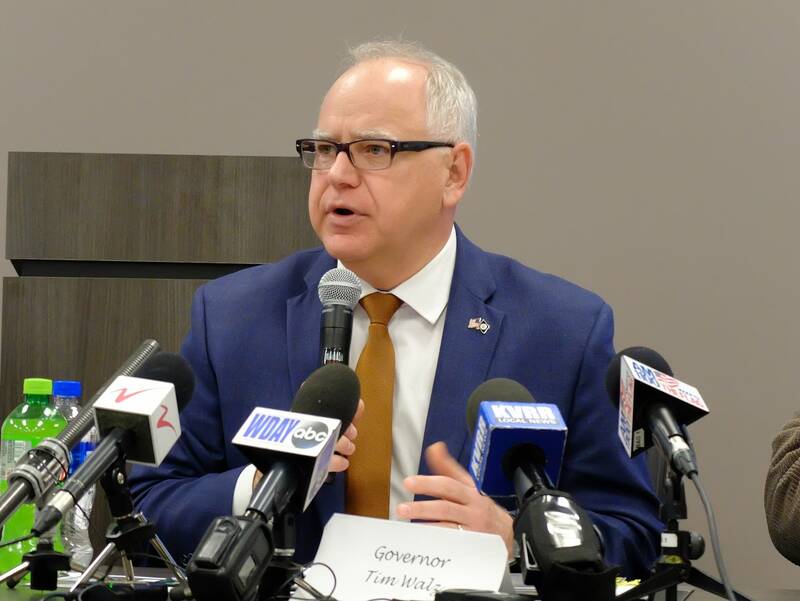 Walz said Minnesota is prepared for catastrophic flooding across the state, but he's hopeful good weather will reduce the flood risk. Department of Homeland Security and Emergency Management director Joe Kelly said officials are ready to respond to flooding across the state. Kelly told officials gathered in the Moorhead emergency operations center that he will activate the state emergency operations center on Tuesday. "I'm gonna get my team in a room similar to this so that we are up and running and it's fully stretched and warmed up and operating if and when communities start asking for help," he said, adding that the state is prepared to provide whatever help communities need as the floodwaters rise. Dan Gunderson | Moorhead, Minn. Some major roadways are closed or have lane restrictions in the south-central Minnesota River valley. In Scott County, several roads have been closed, as flooding has hit some towns along the river. 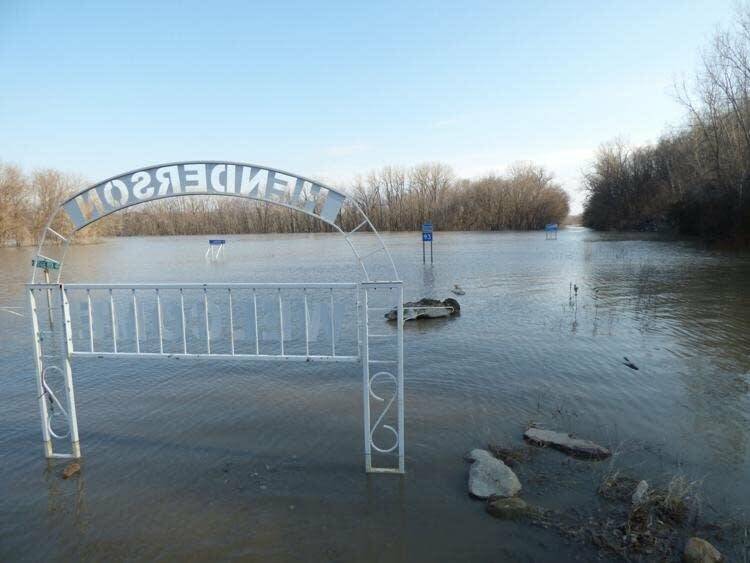 The town of Henderson in Sibley County is seeing some of the region's most significant impacts: The Mankato Free Press reports that river flooding has closed enough roads that there's now only one road in and out of town. State Highway 93 is closed between Le Sueur and Henderson, and State Highway 19 is closed between Henderson and U.S. Highway 169. County Road 6 is also closed, leaving the leg of State Highway 19 to the west the only access to Henderson. In St. Peter, northbound U.S. Highway 169 is restricted to one lane on the north side of the town. And State Highway 99 on the east of town remains closed between South Front Street and French Hill Road, and includes the bridge over the Minnesota River. A rural stretch of Highway 169 between St. Peter and Le Seuer is reduced to one lane between Cedar Ridge Road and 382nd Street. Also in Le Sueur, State Highway 93 is closed between the town's Main Street and 169. In southwest Minnesota, flooding closed both directions of U.S. Highway 75 for a stretch 2 miles south of Madison between U.S. Highway 212 and Fair Street. A detour is in place. Officials at Fort Snelling State Park in St. Paul announced Monday that the park, which sits at the confluence of the Minnesota and Mississippi Rivers near the Minneapolis-St. Paul International Airport, would close because of encroaching floodwaters. Park manager Kelli Bruns said the Minnesota River is flowing over a park road and moving toward a lake. Buildings are closed, and visitor center displays were moved. Bruns said she expects the park likely will be closed for weeks. Before they reopen, she said, "we have to take a look at the condition of roadways, buildings, reallocating our resources to clean up trails, removing silt, removing downed trees or material that's moving downriver that gets deposited." Last year, the park also had to close roads on two different occasions, but it's been several years since the entire park has had to close. April is a key month for shipping fertilizer up the Mississippi River to farmers across the Midwest, but this spring's widespread flooding is expected to disrupt the transportation system for the products on which farmers rely. High water means barge traffic is shut down in some areas and tug boats push fewer barges up river, said Mike Steenhoek, executive director of the Soy Transportation Coalition. "Because of the high water levels and the more turbulent current," he said, "it's reducing the efficiency and the flow of barge transportation, making it more costly." Steenhoek higher transportation costs will be passed along to farmers and delays could effect spring planting in some areas.